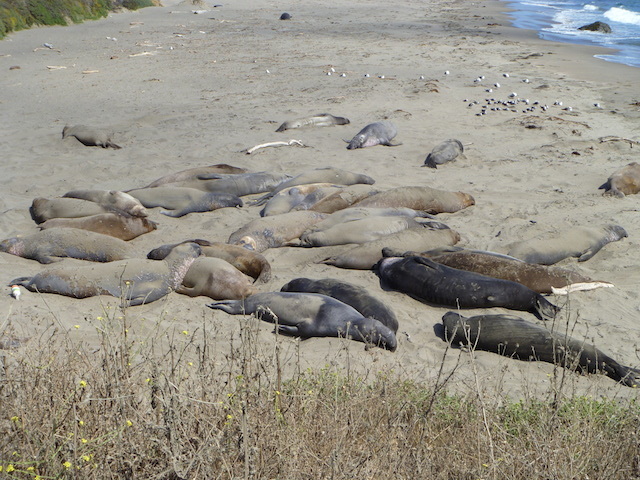 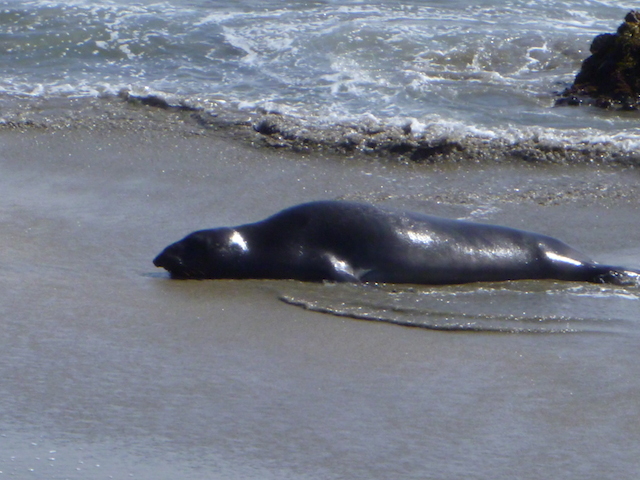 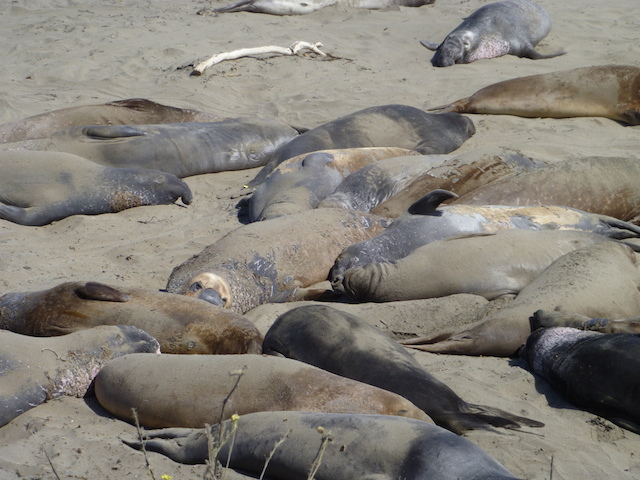 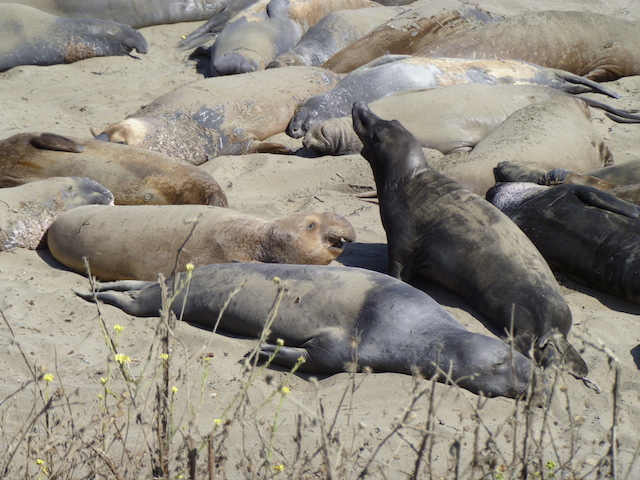 If are you visiting Hearst Castle near San Simeon, just a few miles north is an Elephant Seal Colony. 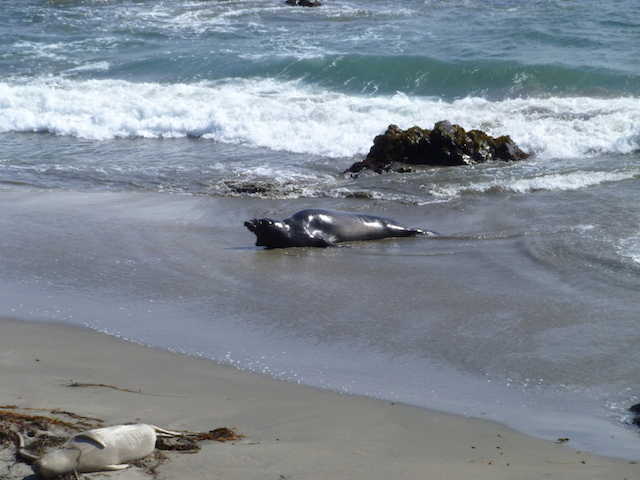 Seals are there for viewing year round and there were a bunch of them when we visited in July. 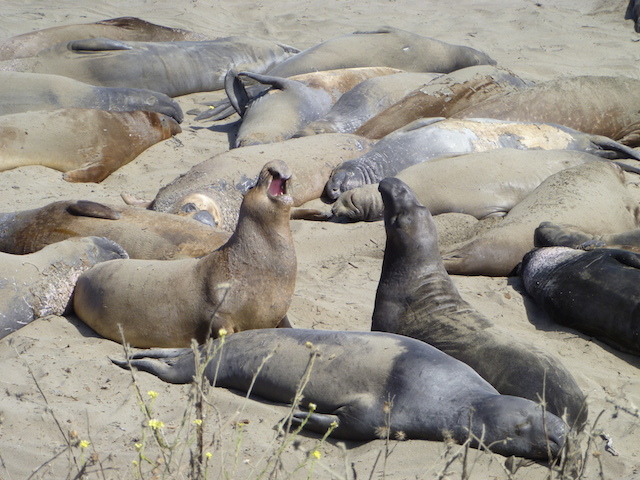 Elephant Seals are the largest of the seal family and were hunted to the brink of extinction by the end of the 19th century and in 1880 declared extinct, until a small colony of 335 animals was found in Mexico. 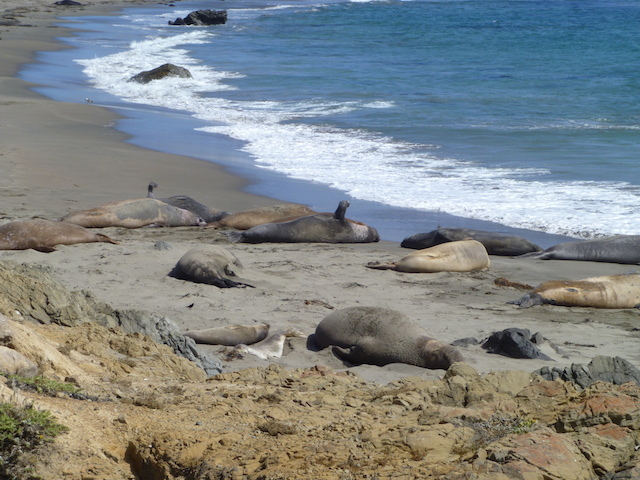 Luckily their populations have grown and the colony here has around 17,000 animals. 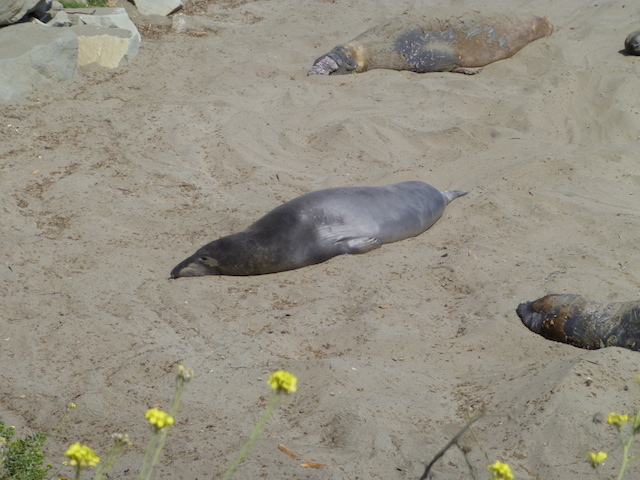 Its free to visit and well worth stopping, even if only for a short visit on your drive. 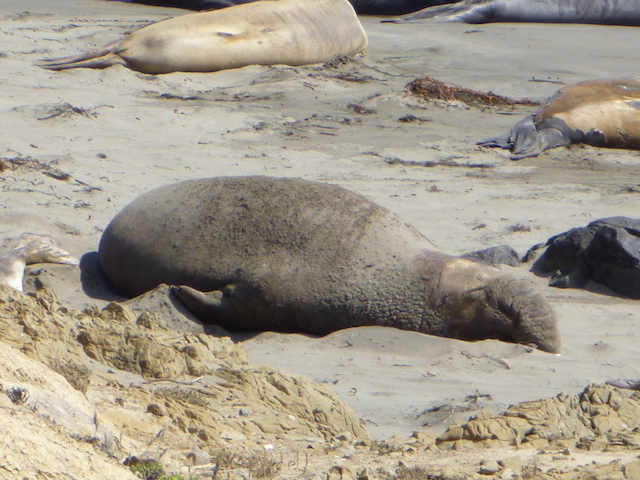 The photos below don’t give any indication of the immense size of these huge seals. 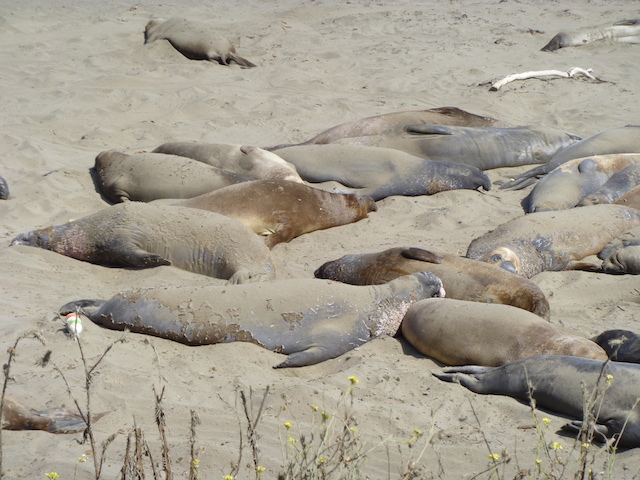 Some of the males can weigh 2000kg or more (5000 pounds).